I want to express something one feels, it must be part of what one calls a creative impulse, a momentary compulsion to identify with a scene, a farmer, an animal in the zoo. For a few minutes ­ the desire is desperate. Excerpt from artist statement in Rae Perlin: Sketches and Studies exhibition publication, organized by Memorial University Art Gallery, 1982. Rae Perlin was one of Newfoundland's first and most acclaimed professional artists. She was born in St. John's in 1910, the youngest of six children to parents Adelle and Israel Perlin. As a child, she loved to sketch and draw, but as a young woman, she did not believe that art would give her the financial independence she desired. Instead, she moved to New York City in 1931 to work as a nurse. Living and working in the large cosmopolitan city exposed Perlin to art she would never have encountered had she remained in Newfoundland. The nursing profession sustained her financially and provided her with flexible hours. Perlin decided to work evening shifts so she could attend daytime art classes under the American painters Samuel Brecher and Hans Hofmann. At 40, Perlin moved to Paris to study at L'Académie Grande Chaumière and Académie Ranson. 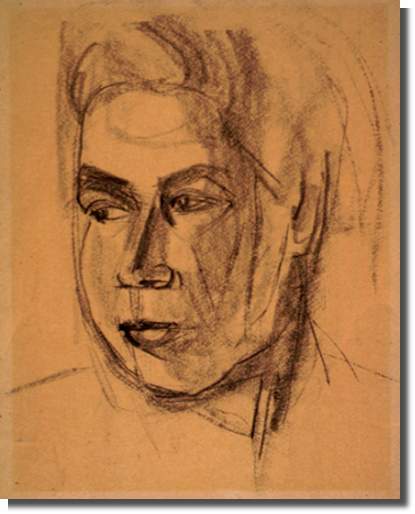 She travelled around Europe in the 1950s, sketching and absorbing the fine art cultures of the countries she visited. From 1956-57, she furthered her studies at the Polytechnic of Central London (now the University of Westminster). 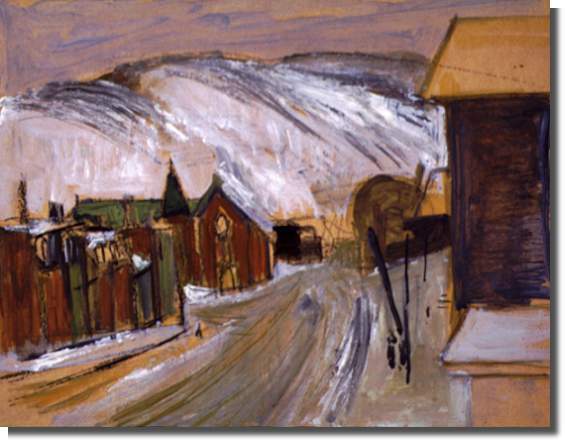 In 1959, Perlin returned to St. John's and worked as an artist and writer. She became an art critic for two local newspapers, The Daily News and The Evening Telegram, and for the weekly magazine The Newfoundland Herald. She was also an active member of the Newfoundland Writers Guild and a regular participant in the Newfoundland Arts and Letters Competition, winning its highest visual arts award in 1962 and 1967. In 1970, she received her first Canada Council Grant to tour the country's art galleries. In 1982, the Memorial University Art Gallery (now The Rooms Provincial Art Gallery) organized the first major retrospective of Perlin's work, which consisted of 78 sketches, drawings, and paintings. The 1980s and 1990s were very successful periods for Perlin, as her art was exhibited extensively in commercial galleries and at the Memorial University Art Gallery. In 1989, the Newfoundland and Labrador Arts Council awarded Perlin its Lifetime Achievement Award. In 1991, she was the subject of the book Not a Still Life: The Art and Writings of Rae Perlin, by Marian Frances White. In it, the curator Patricia Grattan writes that Perlin's sketches "exhibit the best qualities of such artwork directness, economy of line, impressions conveyed through a few eloquent strokes and shapes and washes of colour, a sense of sharing the artist's first fresh vision. They suggest Rae's own lively curiosity, restlessness and selective eye." Perlin's artwork is part of many private and public collections, including The Rooms Provincial Art Gallery's Permanent Collection and the Government of Newfoundland and Labrador. She died in March 2006 at the age of 95.